At Holly Lodge Girls’ College, it is our belief that all teachers are teachers of numeracy. We are committed to developing numeracy skills in all subjects across the curriculum, believing that it will support the learning of all students and raise standards in every subject. Numeracy should be developed across all areas of the curriculum. Every week, pupils complete a numeracy activity during form time – this alternates between the Numeracy Ninja’s programme, and the Numeracy Challenge programme. Numeracy Ninja’s is an opportunity for pupils to master their mathematical fluency with some low-demand questions, in order to further understand the many different applications of mathematics. The Numeracy Challenge is a chance for the girls to put their mathematical fluency to the test, and further develop their mathematical reasoning and problem solving skills. For each week of the Numeracy Challenge, a student winner and a staff winner are selected, and a certificate and prize are awarded. Every tutor group has also appointed a “Numeracy Ambassador”, a student whose job it is to support their classmates through the numeracy challenge each week. 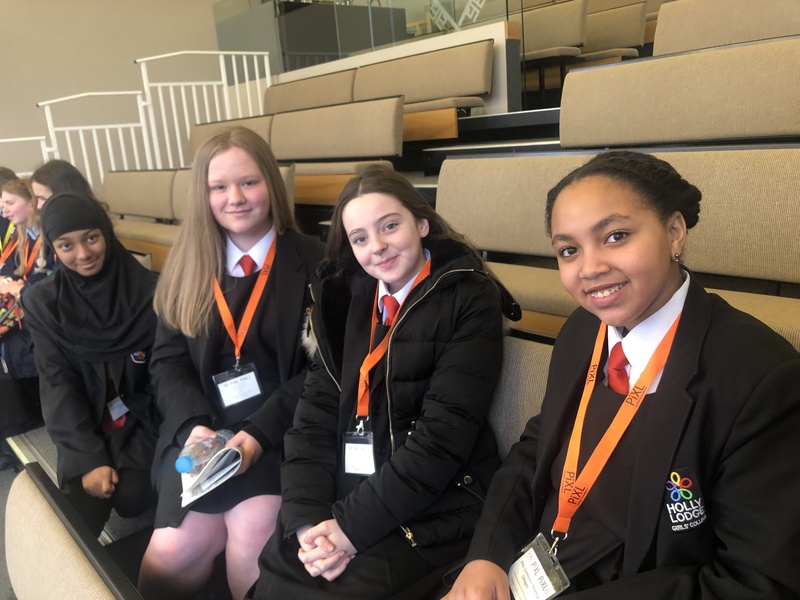 Numeracy Ambassadors are also responsible for the planning of form time challenges, as well as whole-school Mathematics themed days (such as Pi Day and the Liverpool Maths Party). 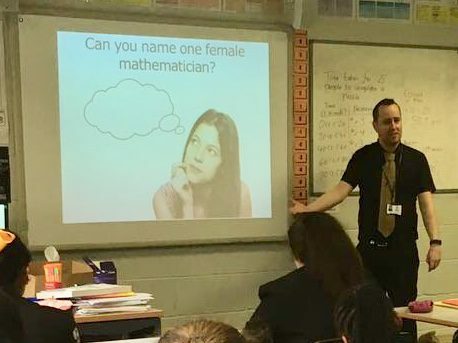 In all lessons, pupils are asked to consider “what Maths have we used in this lesson”, and discuss this with teachers. Evidence of mathematics in lessons can be as simple as a small class discussion, but can develop into deeper tasks that further embed a cross-curricular understanding. All pupils in Year 7 receive a numeracy homework from different subjects each week to help promote the use of number in all subjects. 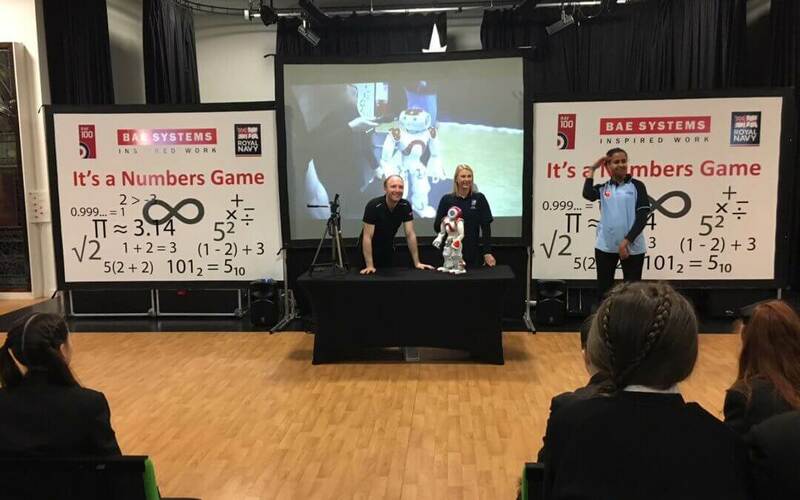 Pupils in Year 7 and Year 8 took part in a workshop led by members of the RAF, BAE Systems and Royal Navy Education Programme. During the workshop, the girls got an opportunity to help solve some problems, and get a good insight into how maths (and Science & Technology) can be used in the real world to help make our lives better. 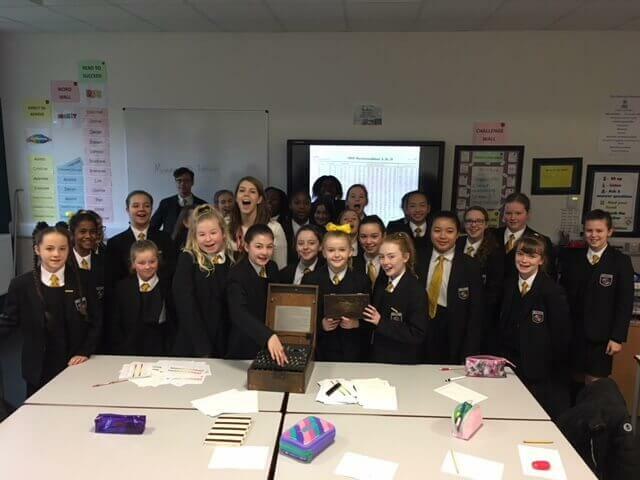 The Outreach team at Bletchley Park came into school to deliver a number of workshops about how codes were created (and subsequently broken) during World War Two, and the maths skills that underpin both codes and codebreaking. 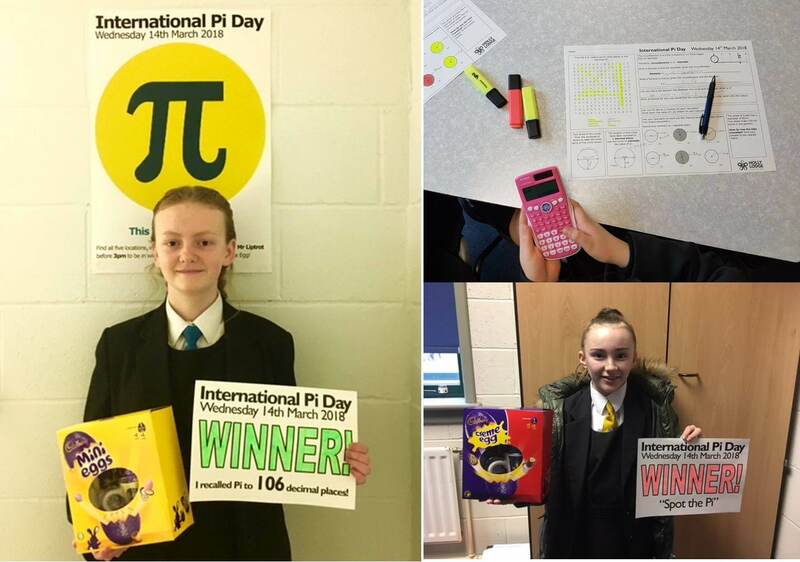 All pupils spent tutor time looking into what makes Pi such a special number in Geometry, and pupils participated in a number of competitions during the day, which included trying to recall Pi to the most number of digits (our winning entry was able to recall an astounding 106 decimal places)! 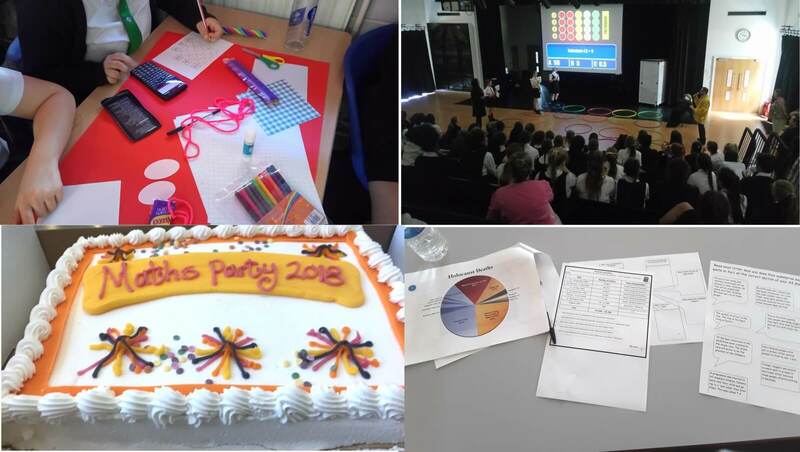 Forthcoming Maths-themed days will include the Women in Mathematics Day on 1st May 2018, and the Liverpool Maths Party on 6th July 2018. Check back to our website and Twitter page (www.twitter.com/MathsHolly) regularly for more information on these key dates. The Mathematics Department is currently working on a “Teaching Guide” that will be used by all teachers when teaching common mathematical techniques such as written methods, percentages, conversion, plus many others. We will share this document on our website once this has been finished so that parents and carers can see what methods we use in school, and can undertake further practice if required. 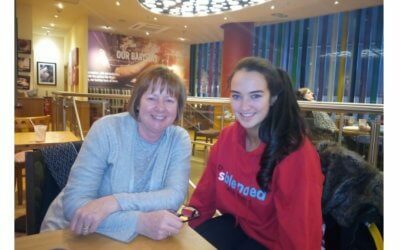 At Holly Lodge Girls’ College, we are very keen to promote parental participation. At Parents Evening, we give parents and carers the opportunity to attempt a maths puzzle, which links to a mathematical skill that students will have been using in school. All successful parental entries are then put into a prize draw to be in with a chance of winning a prize for their daughter. In addition to this, we write to all parents prior to each maths-themed day, and describe the opportunities that are being presented to students, and how parents can contribute to the celebrations. An example of this was during Pi Day, where some of our parents participated in a “Pi Day Dingbats” competition with their daughters. We also had over 70 parents participate in our Maths Party 2018 Parent Puzzle. In July 2018, Holly Lodge Girls’ College achieved the “Gold” rating from the Liverpool Learning Partnership for the Liverpool Counts Quality Mark for Numeracy. This is a regional award that recognises those schools that go above and beyond to deliver experiences of numeracy across the curriculum. We are one of only a few secondary schools to have achieved a “Gold” rating. We look forward to sharing some quotes from our assessment report shortly. MathsWatch VLE – a homework and revision website for pupils. Watch video tutorials and complete practice questions on all GCSE exam topics, and get instant feedback. Pupils can ask their Maths teacher for login details. Secondary At Home – a collection of resources, puzzles & games that parents can work through with children. Can Parents Help With Maths? – a helpful document that offers strategies that parents can adopt to make Maths more accessible for children. BBC Skillswise Maths – Practical, common sense Maths support for adults. Contains tutorials, worksheets and videos to help teach basic Maths skills. Mr Liptrot is the School Lead for Numeracy.